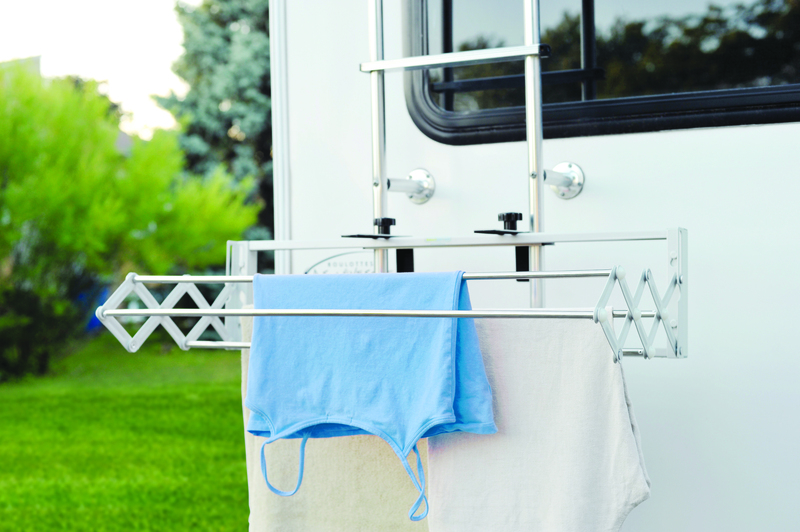 The Compact Smart Dryer offers the equivalent of a 13 feet (4 meters) clothesline! 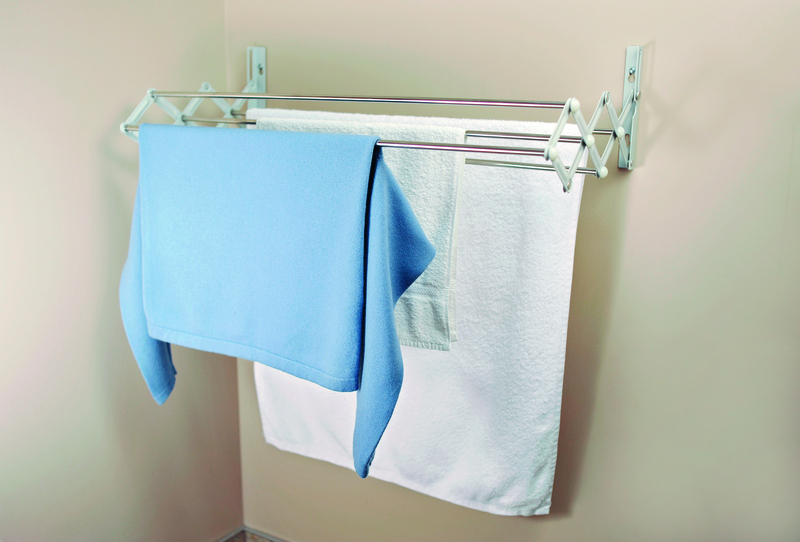 THE COMPACT SMART DRYER, THE FOLDING, DURABLE, VERSATILE CLOTHES DRYER THAT SAVES YOU MONEY! Practical and ingenious: Conveniently folded, the Compact Smart Dryer is only 4.5 inches (12 centimeters) long. 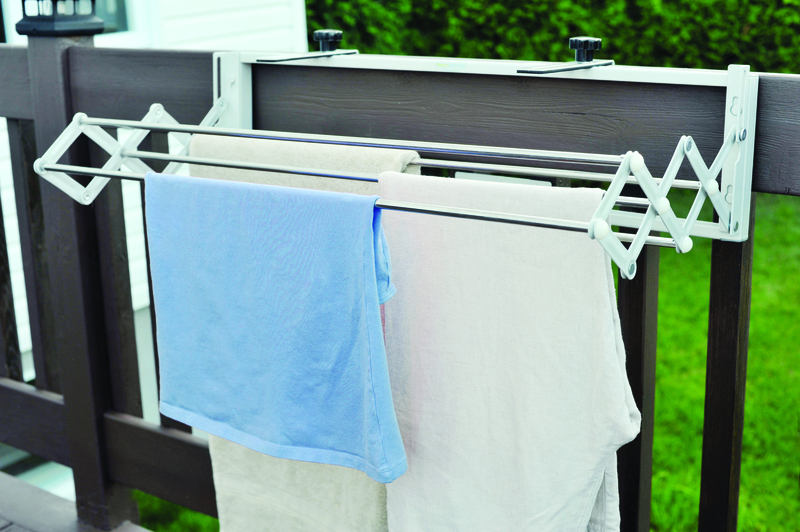 Unfold it in an instant to get the equivalent of a 13-foot (4 meters) clothesline! 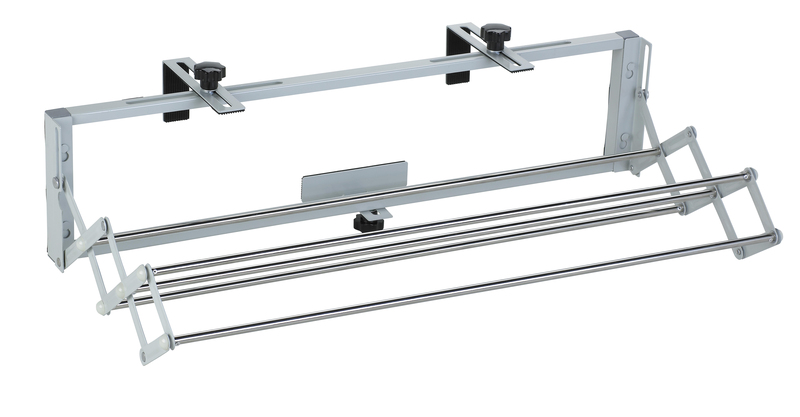 Easy to install: You can fix the Smart Dryer permanently to your wall or use the robust and adjustable rubber-lined clamps to hang the Smart Dryer on your balcony or recreational vehicle (RV). The Smart Dryer is always ready, indoors or outdoors, temporarily or year-round! Complete installation kit included. Saves you money: Electricity is not cheap. The Smart Dryer will save you money every time you use it. According to Consumer Report Magazine, the use of the electric dryer requires 870 kWh per year for a family of three. At a rate of 0.0522$ per kWh, it costs 45$ a year just to dry clothes. Clothes-friendly: Air drying is much less harmful to your garments than an ordinary electric dryer. And when properly placed on the Smart Dryer, clothes do not require ironing. Save time and money! 1- What are the Compact Smart Dryer’s dimensions? The Smart Dryer extends to 31.5 inches in width and 7.5 inches in height. 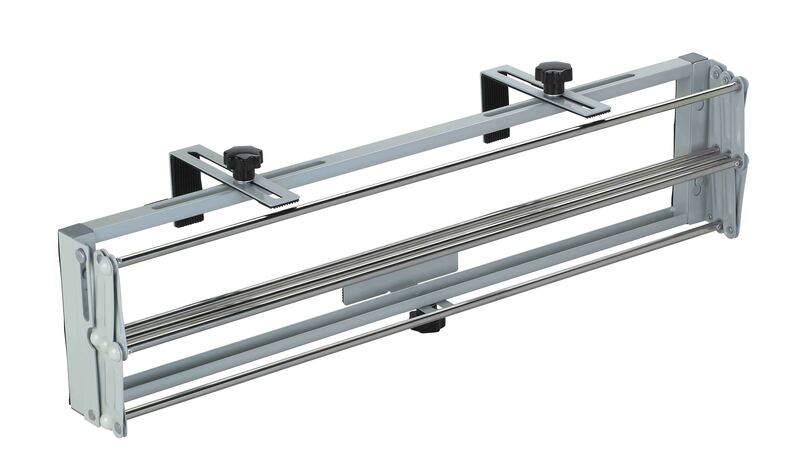 Opened, it extends to 14 inches in length. 2- Is the Compact Smart Dryer easy to install? The Smart Dryer is definitely easy to install thanks to its ingenious design; it easily unfolds and can be permanently installed to a wall. 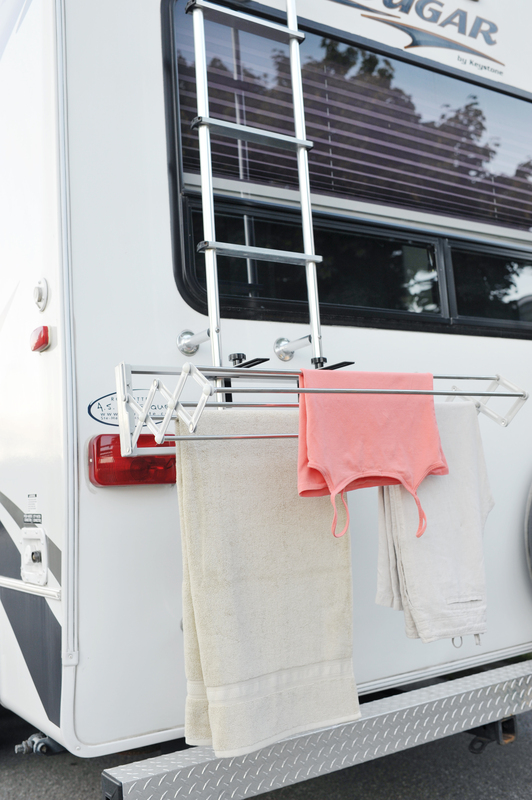 Otherwise, use the robust and adjustable rubber-lined clamps to hang the Smart Dryer on your balcony or recreational vehicle (RV). The Smart Dryer is always ready, indoors or outdoors, temporarily or year-round! Complete installation kit included. 3- What is the Compact Smart Dryer made of? The Smart Dryer is mostly made of rust-resistant stainless steel. 4- Is the Compact Smart Dryer easy to purchase? The Smart Dryer is available in most of the best retail store chains. You can also order this product directly via phone at 1 800 441-5375. It can also be bought online and shipped directly to your home or business. 5- What is the Compact Smart Dryer’s capacity? The Smart Dryer can support up to 90 pounds of clothing. When closed, the Smart Dryer measures only 6 inches (15 centimetres). 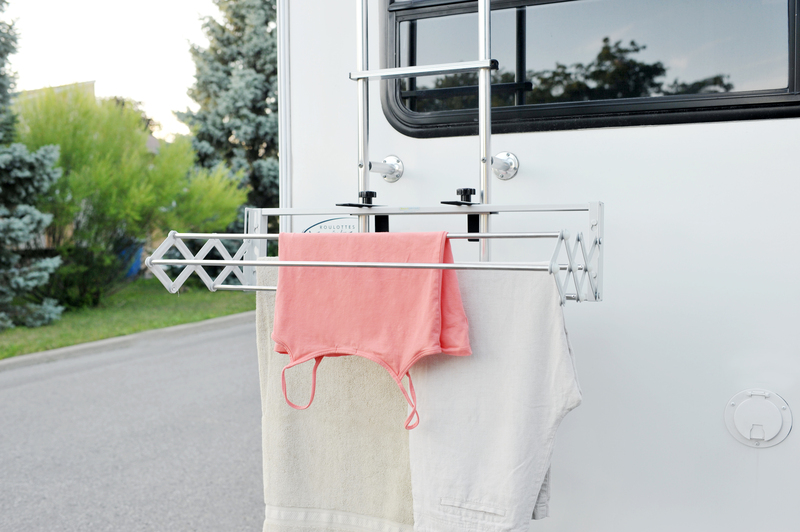 Unfold it in an instant to obtain the equivalent of 13 feet (4 meters) of drying space!